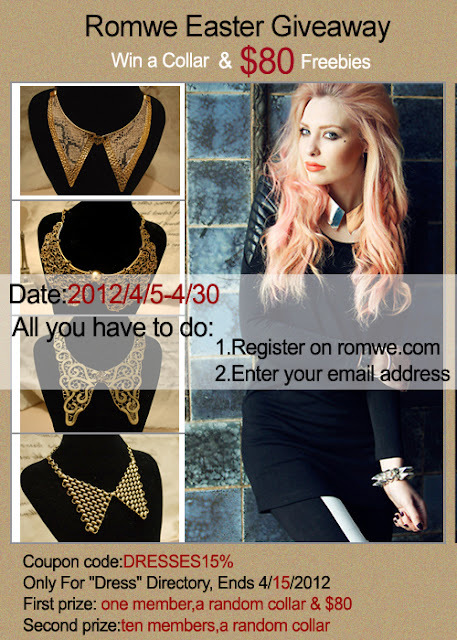 Romwe offers you four styles of collar necklaces for free in April. You got no chances to buy them on our website but entering this time giveaway. If I win this, part of my prize will go toward a giveaway on my blog.